The Camperdown Cup |Annual country horse race. Camperdown, in southwestern Victoria, is a rural town of historical significance. The Djargurd Warrung Australian Aboriginals occupied the area for thousands of years in a semi-nomadic hunter-gatherer society structure. British settlers arrived from Van Diemen’s Land (the previous name of Tasmania) after 1835, in order to establish sheep runs. The settlements were opposed by the Aboriginals at first, but mutual assistance and friendship developed between the people, and this legacy of unification remains a hallmark of Camperdown today. The town is also the service area for all of the pastoral enterprises in the fertile region, and is known itself for dairy farming and wool growing, which are very successful thanks to rich volcanic soil. Produce processing is a major industry as well, and there are several tourist attractions in Camperdown. The Ottoway Ranges, Shipwreck Coast and Ocean Road can all be explored and enjoyed, and Camperdown is also renowned for well-maintained classical historical buildings. The Gothic Manifold Clock Tower is the centrepiece, and is named after the earliest European settlers. The Victorian Heritage Register also lists the town’s Boer War Memorial, the Memorial Cross and JC Manifold Statue as significant sites. The court house, built in 1886-7 is another good example of Georgian architecture, and the 1863 Post Office, 1890 Theatre Royal and Masonic Hall of 1867-68 will also interest history enthusiasts. All of these sites will help make visiting the town pleasurable for the racing fans who come for the Camperdown Cup. 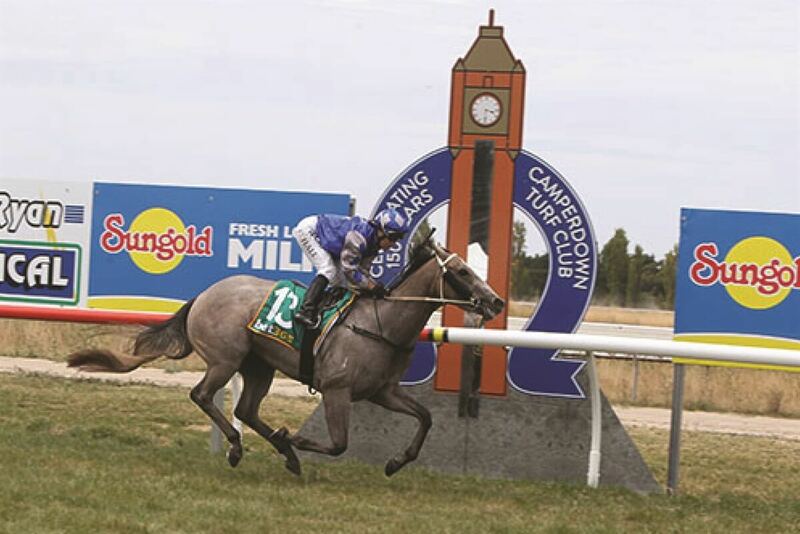 What Is The Camperdown Cup? The Sungold Milk Camperdown Cup (so called because Sungold is the event’s main sponsor) is hosted every January by the city’s Turf Club and is run on a 2000 meter racecourse with a 385 meter straight. The track’s turns are long and wide, which means riders and steeds have a reasonable chance of winning no matter which starting position they occupy. The Cup exemplifies everything that is appreciated about country horse betting in Australia, with a relaxed all-day-enjoyment atmosphere. Spectators are encouraged to bring their own picnics and enjoy live music in a convivial atmosphere. There are always generous prizes up for grabs in the Fashions on the Field event, and free quality supervised children’s activities help to ensure everyone has a good day out. Locals enjoy the meet, and many out-of-towners come to enjoy the Cup and the other tourist attractions in Camperdown. The fact that every starting position offers a decent chance of winning the race keeps things interesting and means the competition can be neck and neck until the very end. Prospective bettors should keep this in mind, along with any other facts they can find out about the track conditions, weather on the day, riders and horses’ performance histories and injury reports, and how all of these factors interact with each other. It’s easy to find expert opinions on all of these things and discuss them with other individuals, especially online, and can really deepen fans’ understanding and appreciation for the sport. When bettors have a clearer idea of who they want to back, having also considered the odds and any reliable tips they might have come across, there are several different punting options to choose from. Deciding how to arrange wagers and then waiting to see if they were successful is truly exciting, and collecting on a Camperdown Cup win can prove a good ending to a good day.